Lush Cosmetic Warrior Review: How Safe And Effective Is This Product? The LUSH Cosmetic Warrior is a fresh face mask intended to target troubled, sensitive, and damaged skin that is a product of harsh, aggressive cleansers. It gently moisturizes and soothes the skin with egg whites and honey that also work in tightening and smoothing out the pores. 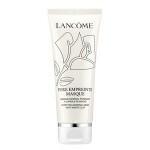 It also contains mild cleansing agents to restore and keep your skin’s clarity and freshness. For more information about this product, check out this Lush Cosmetic Warrior Review. Lush Ltd. is an English cosmetics brand based in the UK that produces handmade products based on natural ingredients, extracts, essential oils, and the like. 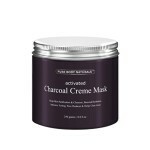 Their products range from skincare masks, cleansers, and lotions to body gels and bath bombs. They aim to give you products that give you quality, spa-like treatment and allow you to dare to be bare. 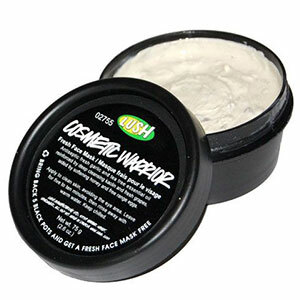 To use the LUSH Cosmetic Warrior, apply an even layer of the mask smoothly over cleansed and patted dry skin. Leave this on for 15 minutes before rinsing off with warm water while massaging it gently as you go. Each 75- or 60-gram tub of the mask is priced around 10 USD to 15 USD depending on your location. You can buy it from LUSH retail stores or websites. Kaolin Clay: This clay is known for its cleansing, detoxifying, and exfoliating properties. It draws out dead cells, excess oil, toxins, and impurities from the skin. Fresh Green Grapes Extract: The enzymes from this extract cleanses and soothes the skin, leaving it with a cool, calm feeling. Fresh Free Range Egg Whites: The fresh egg whites used in this product are astringent- free and work by tightening the pores and skin. This ingredient also elicits moisturizing and antiseptic effects. Honey: Honey is a known antimicrobial agent that also leaves the skin soft, smooth, and moisturized. Tea tree oil: This component has powerful antibacterial and antiseptic properties that aid in deeply cleansing the skin. Fresh Garlic: Despite its smell and sting, garlic has been proven to have anti-inflammatory properties that help relieve and protect your skin from breakouts and rashes. It also helps in cleansing and balancing the skin. 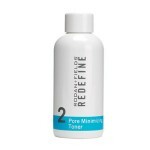 Can be used all over the place or as a spot treatment. 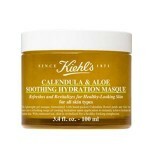 Combines gentle cleansing with exfoliating, moisturizing, tightening, and brightening effects. 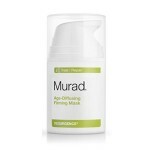 It helps relieve and soothe acne-prone skin while also protecting it from breakouts. Uses fresh natural ingredients and is preservative-free and handmade. It has a strong, unpleasant smell. It should be kept cool in the refrigerator to keep the potency and effectivity of ingredients. It is not ideal for traveling and can be quite a challenge to apply during winter. The mask expires very quickly due to the nature of the ingredients and preparation. This handmade product contains natural, preservative-free ingredients known and proven to provide beneficial effects on the skin. However, these same things naturally give the product its unappealing smell and remarkably shorter lifespan. If you have a strong stomach and can get past the smell as well as use the mask up immediately, you can enjoy its benefits. Otherwise, you may want to explore other alternatives. The LUSH Cosmetic Warrior is sold in different regions all over the world and is therefore subject to many different policies and laws. The return, replacement and money-back guarantees depend on your location, the physical retail store, or the website where you will purchase it.